Local Attorney; Certified Specialist in Estates, Trusts, and Probate, certified by the State Bar of CA w/ Offices in Sacramento & El Dorado counties. Our attorneys are experienced in several areas of the law, including: Estate Planning, Wills, Trusts, Probate Our lawyers offer comprehensive estate planning for individuals and families of all sizes and wealth levels, including all types of trusts, wills and support throughout the probate process. Business Law and Asset Protection Our law firm is designed to offer small and medium-sized businesses the same powerful business structuring tools that have traditionally been available only to larger business entities. We work with businesses in all phases of their life cycles, from formation, expansion, acquisition, through wind-up and dissolution. We are pleased to offer free initial consultations in all areas of law we practice. Give us a call at (916) 789-9810 to set up a time to meet with us to learn how we might be able to help you take care of your business, estate planning, and asset protection needs. Morris Law Group, PLC is a law firm focused on estate planning, probate, business transactions and structuring, and real estate transactions. Morris Law Group, PLC offers comprehensive estate planning for individuals and families of all sizes and wealth levels, including asset protection, wills, probate, trusts, and real estate transactions. Whether it's managing a will through probate, a simple trust for a couple who owns a home in California, or a complex estate plan involving multi-tiered structuring, structured lifetime gifting, and advanced irrevocable trust strategies, you will get the estate planning and trust solutions you need to protect your assets, avoid probate, minimize taxes, and ensure that your estate passes to your heirs quickly, efficiently, and as inexpensively as possible. Estate Planning, Trust, & Probate Services include: Simple Trust Complex Trust Pour-Over Will Health Care Power of Attorney Financial Power of Attorney Managing the Probate Process Conservatorship and Guardianship Real Estate Transactions Asset Allocation and Trust Subdivision Estate tax Planning and Strategy Capital-Gains Tax Planning Many of our clients come to us with an estate plan already drafted. For these clients, we offer a free comprehensive estate plan and trust review to ensure that their existing trust meets their current needs and are in compliance with ever-changing trust and tax laws. 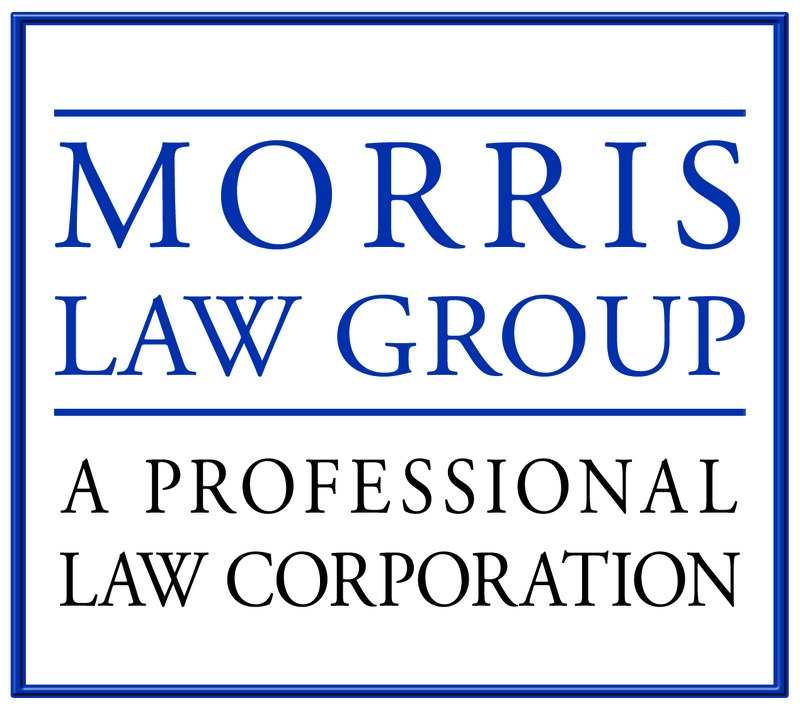 At Morris Law Group we also help families plan for nursing home care and other elder-care-related issues. Through the use of innovative strategies and comprehensive planning, we can ensure that you and your family are able to take advantage of the healthcare benefits available to seniors in California without exposing your assets to recovery and forfeit. Attorney David R. Morris is a Certified Specialist in Estates, Trusts, and Probate, certified by the State Bar of California. Certified Specialists undergo rigorous peer review, testing, and education to certify that they are experts in their subject matter areas. Fewer than two percent of attorneys in California become Certified Specialists in any area of law--the designation serves as an indication that the attorney is skilled, experienced, and knowledgeable in the specialty area. Morris Law Group, PLC, offers comprehensive business transaction and structuring services for small and medium-sized businesses. What experience or education distinguishes your lawyers from others? David R. Morris is a Certified Specialist in Estates, Trusts, and Probate, one of a relative handful in the entire Northern California area. This means that he has been peer-reviewed and found to adhere to the highest standards of professionalism. He has also passed rigorous testing by the State Bar of California and has undergone extensive additional training in trusts and estates. Only attorneys who are Certified Specialists are allowed to advertise that they "specialize" in an area of law.